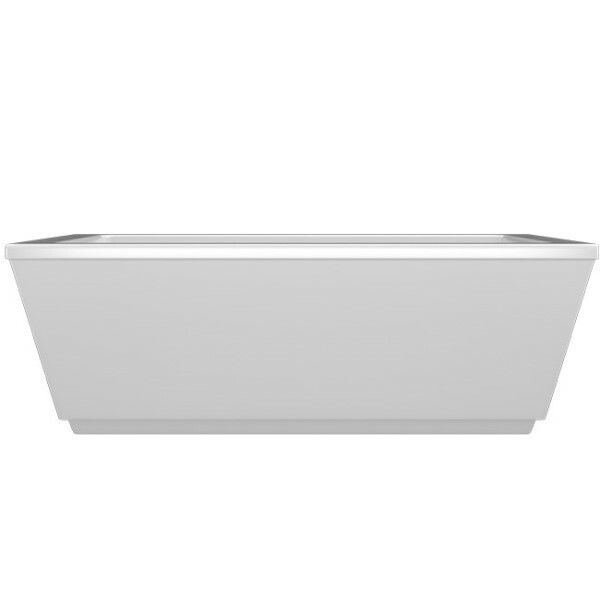 Atlas offers a modern rectangle tub with an end drain. The smaller J810M is 59" x 32". The largest, J860M is 66" x 34". 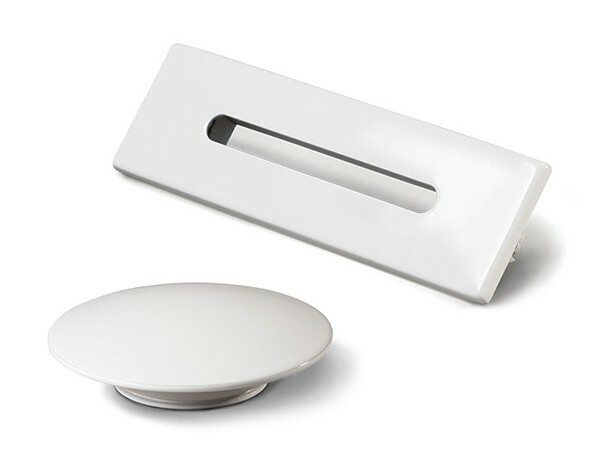 Both have sleek styling with a wide rim and angled sides. The recessed base and flat rim that overlaps the skirt adds to the modern appeal. 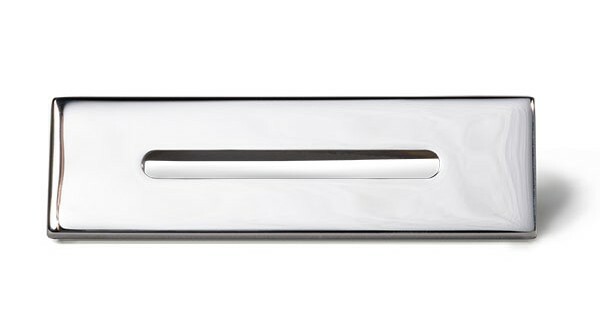 Created from high-gloss / high-impact acrylic it is built to last. Installation is easy with leveling feet and an integrated linear waste & overflow. 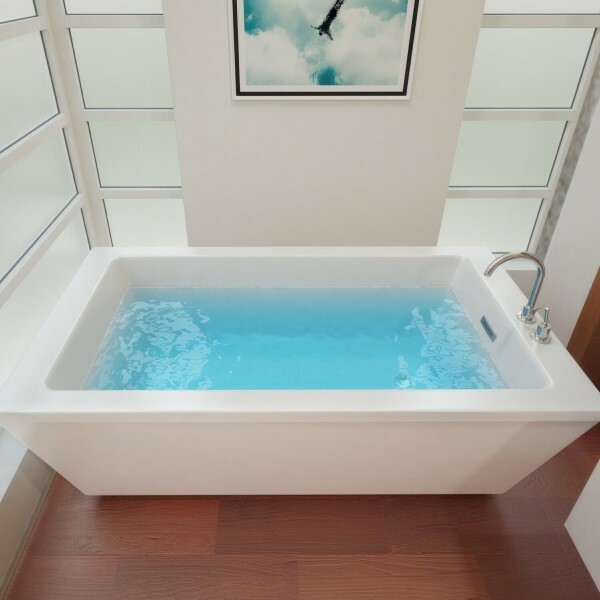 The Cosmo Freestanding Soaking Tub Collection embraces contemporary design while maintaining comfort. 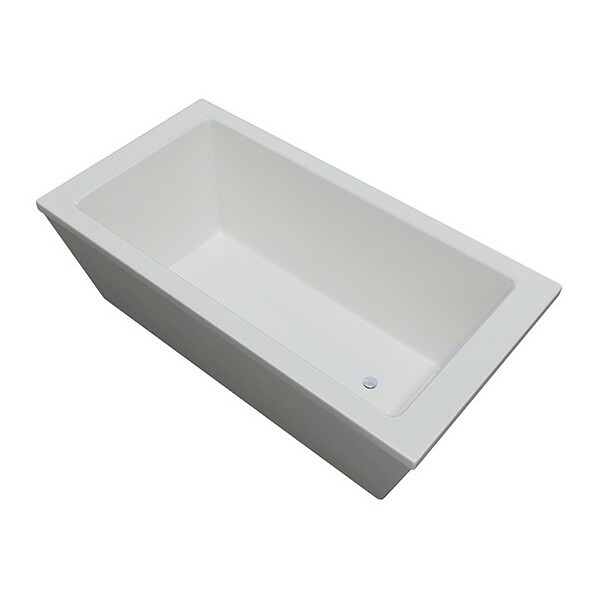 J810M | 59" x 32" x 23"
J860M | 66" x 35" x 23"
Bathtub Size: 59" x 31.5" x 23"
Tub Bottom Interior: 41.5" x 17.75"
Bathtub Size: 65.75" x 34.25" x 23"
Tub Bottom Interior: 48.5" x 19"